As I was driving to work today, the radio stations were all paying tribute to the Boston Marathon bombing that happened one year ago today. We live in MA, about an hour or so from Boston. I had friends that were running the marathon and friends that were there watching and cheering on their loved ones who were running. Some of my friends were there with their kids. When tragedies like the Boston Marathon bombing, or the Sandy Hook shooting happen so close to my home, I sometimes find myself questioning my decision to have children. Why would I want to bring a helpless child into a world where people want to kill other people? How can I ensure that my babies will always be safe and protected? The answer is that I can’t. I was at work when I first started to hear reports of what was happening at Sandy Hook back in December of 2012. I wanted to rush home, pick my kids up from daycare, go inside, lock the doors, hold onto my babies and never leave the house again. I tried to figure out how I could afford to home school them so that they wouldn’t be at risk for that type of danger. But the truth is that evil can happen anywhere. Keeping them out of school doesn’t guarantee their safety because shootings happen at movie theaters, at malls… Bombings occur in downtown Boston, less than a half hour from where my husband grew up. Can I lock all of us into my house, shut out all of the evil and darkness that is right outside my door? And I ask myself again, why would I bring children into this world? 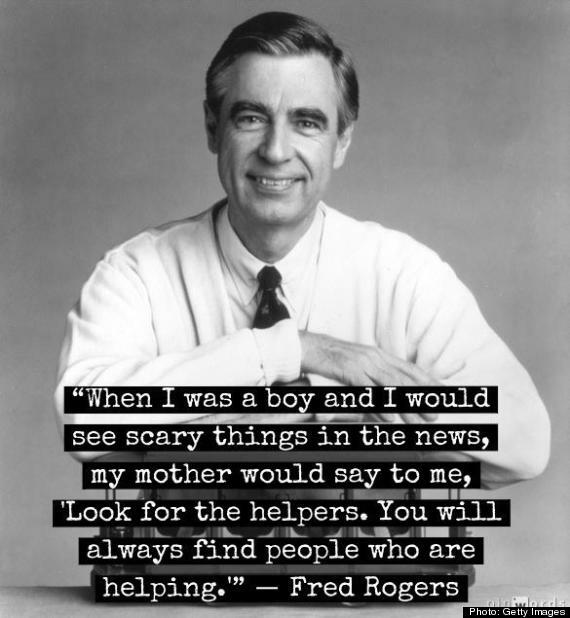 Sometimes the fear is right in my face, like today where we are all remembering and reminded of what happened to the City of Boston last year. Its days like this that I want to shut all of the darkness out, keep my girls safely in my arms and wonder why there is so much evil out there. How can we break up all that darkness? How can we overcome all of the evil? How can I make sure that my girls are forever untouched? The only answer that I can think of is that I can raise them to be filled with love and kindness. With patience and understanding. With open hearts and caring souls. Raise them to be bright and shining lights in a world that has so much darkness. Because the only way to break up the darkness is with light. There will be more tragedy. More darkness and more fear. More times that I will want to shut it all out and never leave home again. But that’s not the answer. If you shut your door, the darkness is still there, still waiting. The only way to break up the darkness is with light. And my babies will be part of that light, two little lights that will help to brighten up their corner of the world. Two little lights breaking up the darkness. Tag! Get To Know Me! Thank you for your inspirational words. I have shared them with my class tonight. Thank you so much for reading Aunt Bev! I’m glad that you enjoyed it! I hate to say it, but your children will be touched by the bad things in the world. But you are a good mother. And I know you are going to help them to be strong enough to be okay. No matter what happens. Just another reason why a zombie apocalypse may not be such a bad thing!